Alpine Solar Bluetooth Rock Speaker: looks like a rock and is charged using sunlight. 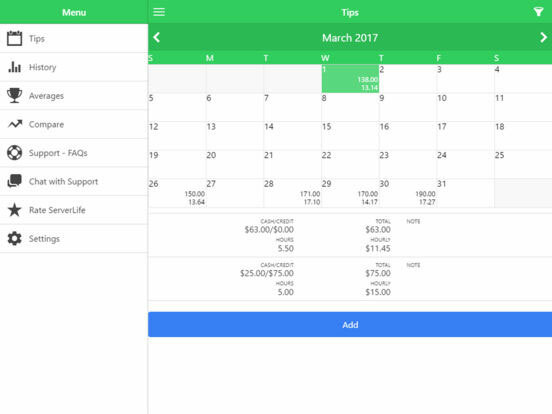 It runs for 10 hours on battery. The battery is replaceable. 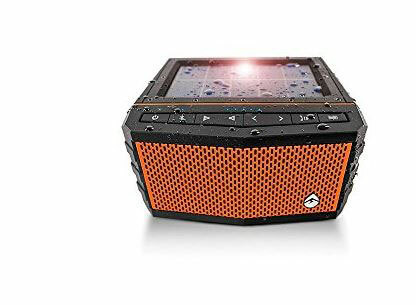 Ecoxgear Sol Jam Waterproof Speaker: meets the IPX7 waterproof standard. It has a solar panel that creates 325mAh per hour. It is shock resistant, submersible, and floats. Monster SOLARA: a solar powered, weather resistant speaker with 360-detgree sound and LED light. It can sync with up to 7 other compatible speakers. 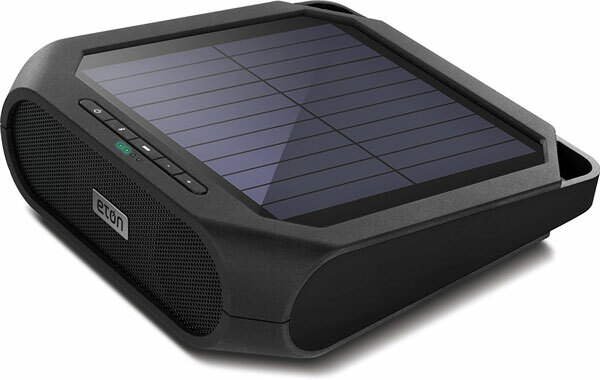 Eton Rugged Rukus: as the name suggests, this is one tough speaker powered by sunlight. It can charge your smartphone and offer over 8 hours of listening at night. Nuboom Solar Stereo Speakers: gets you 55+ hours of playtime. After 10 minutes of sun exposure, the speaker runs for 30 minutes. 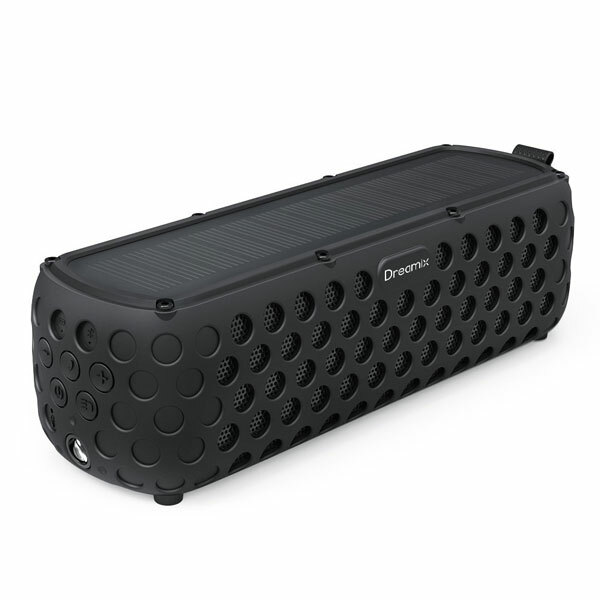 It is drop proof from up to 6.5 ft.
Dreamix Splashproof Speaker: has a solar panel to charge its 2500 mAh battery. It is shockproof and splashproof. Works with all your favorite Bluetooth devices. 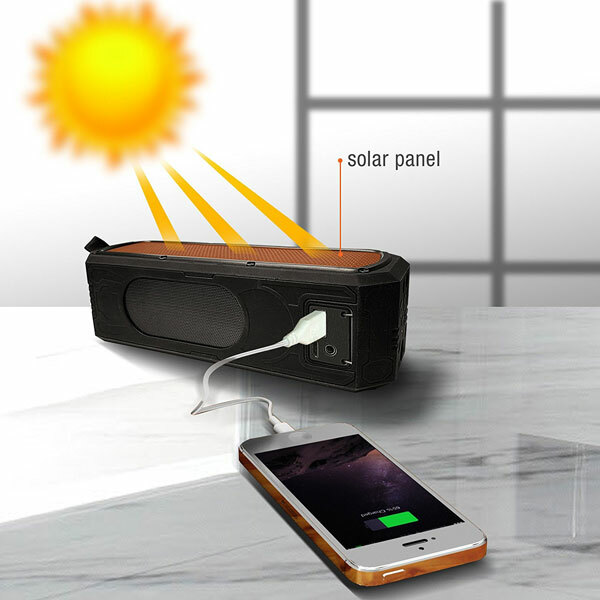 Have you found cooler solar Bluetooth speakers? Please share them here.